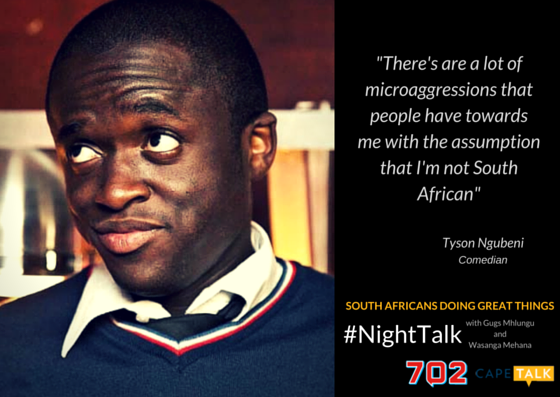 Comedian Tyson Ngubeni describes himself as by far the darkest member of his family. 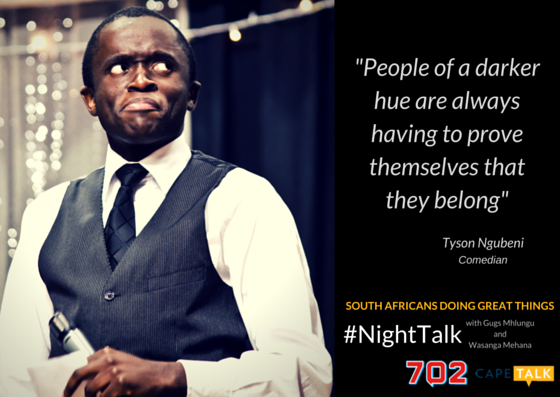 He brings his lived experiences as a dark-skinned black man to the stage in his comedy show The Dark Ages. 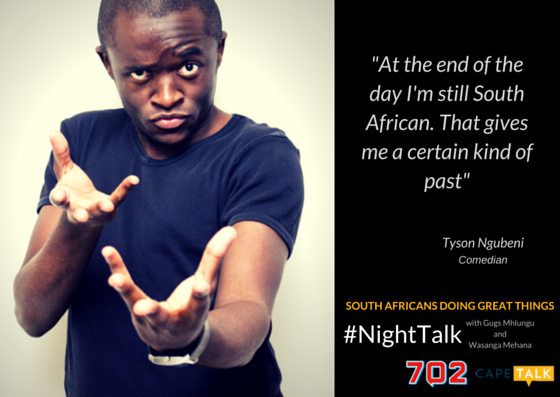 Ngubeni spoke to #NightTalk's Gugs Mhlungu and Wasanga Mehana about his show and his experiences as a dark-skinned man. "I Am Thalente" is a documentary about Thalente Biyela's inspiring journey to become a successful skateboarder. Thalente is a South African doing great things! Banetsi Mphunga's mobile counselling clinic has been of value to many marginalised youths in Khayelitsha, Cape Town. Mphunga is a South African doing great things! Toya Delazy featured as a South African Doing Great Things on #NightTalk with Gugs and Wasanga. Find out what she has been up to.